SANTA BARBARA, California, May 17, 2016 (ENS) – Plains All-American Pipeline has been indicted by a grand jury on 46 criminal charges related to a May 2015 oil spill in Santa Barbara County. 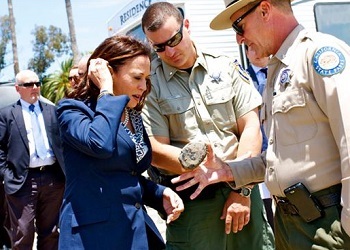 A Plains All-American Pipeline employee was also indicted on three criminal charges, California Attorney General Kamala Harris and Santa Barbara County District Attorney Joyce Dudley announced today. If convicted, Texas-based Plains All-American Pipeline faces up to $2.8 million in fines plus additional costs and penalties. On May 19, 2015, a pipeline operated by Plains All-American Pipeline ruptured, releasing into the environment roughly 140,000 gallons of heavy crude oil onto land, beaches, and the Pacific Ocean near Refugio State Beach. Federal, state and local governments have spent millions of dollars to clean up the spill, which resulted in substantial damage to natural habitats and wildlife over a large area. Harris partnered with local and state law enforcement agencies to conduct a criminal investigation and jointly prosecute the criminal case with Dudley. On Monday, a grand jury indicted Plains All-American Pipeline on 46 charges, including four felony charges and 42 misdemeanor charges. The company was charged with felony violations of state laws regarding the spilling of oil and hazardous substances into state water. Both the company and James Buchanan, an employee, were charged with misdemeanor violations for failing to provide timely notice of the oil spill to the Office of Emergency Services. 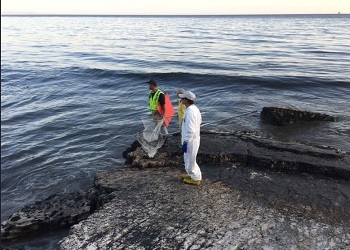 In addition, the company was indicted on three dozen misdemeanor charges linked to the spill’s impact on birds and mammals. “This indictment came as a result of many local and state agencies working together to present both inculpatory and exculpatory evidence to a hard-working Santa Barbara Grand Jury,” said Dudley. “The indictment is a response to the evidence presented and speaks to the alleged criminal culpability of both the corporation and an individual who are alleged to have caused harm to Santa Barbara County’s magnificent natural surroundings and death to some of its majestic wildlife,” she said. Ten of the charges relate to the release of crude oil or reporting of the release and 36 relate to wildlife alleged to have been taken as a result of the release. Plains believes that neither the company nor any of its employees engaged in any criminal behavior at any time in connection with the oil spill and that criminal charges are unwarranted. “We will vigorously defend ourselves against these charges and are confident we will demonstrate that the charges have no merit and represent an inappropriate attempt to criminalize an unfortunate accident,” the company said. Plains All American Pipeline, L.P. is a publicly traded master limited partnership that owns and operates midstream energy infrastructure and provides logistics services for crude oil, natural gas liquids, natural gas and refined products. The company owns an extensive network of pipeline transportation, terminals, storage and gathering assets in key crude oil and natural gas basins and transportation corridors and at major market hubs in the United States and Canada. On average, the company handles over 4.6 million barrels per day of crude oil and natural gas liquids.